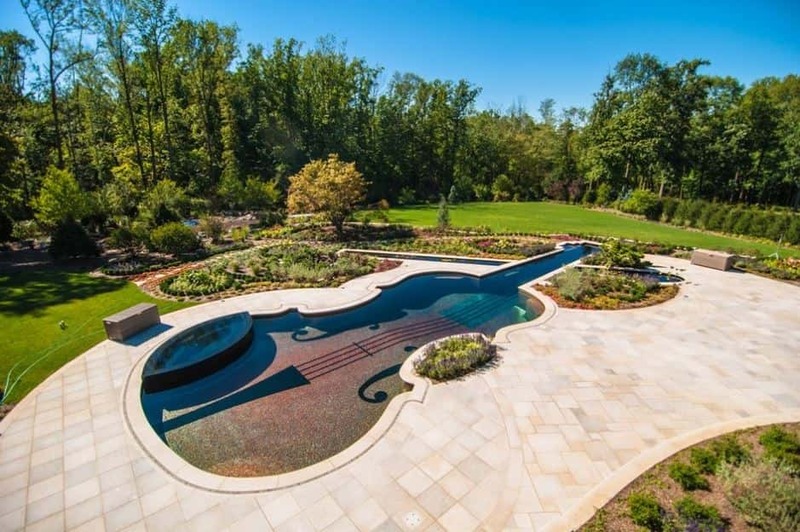 If you are a music lover and you are looking for an innovative way to create a splendid and unique garden then you might like these amazing exaples of violin garden art. 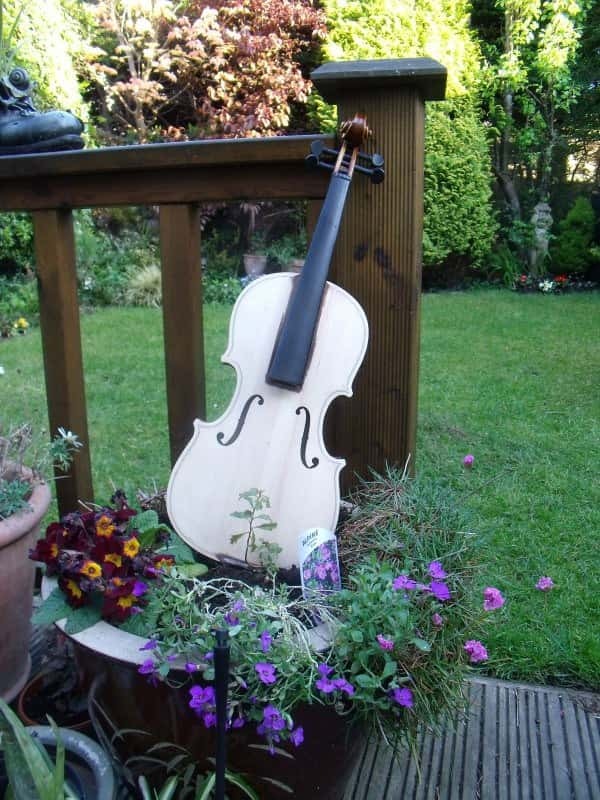 You can use your imagination in a wonderful way by incorporating violins or other stringed instruments into your garden design. The first image you see beside this text was found HERE. A beautiful example of recycling to create a magical garden atmosphere. 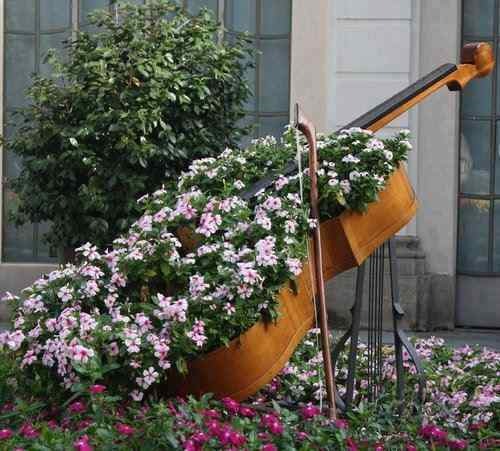 One of the simplest ways to achieve a cool stringed instrument garden is to use an instrument that you already have. If you have an old guitar or violin that is not in playable condition, this will be perfect. As you can see by the image featuring the white violin (source) a cool effect can be achieved just by placing an old intrument in a good position. For something extra cool you could paint a violin or guitar a bright color. 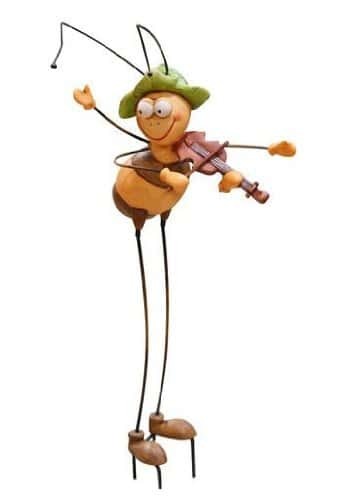 If you have limited space or if you don't have an old stringed instrument there are some adorable ornaments you can buy. There are quite a few musical themed garden ornaments around. 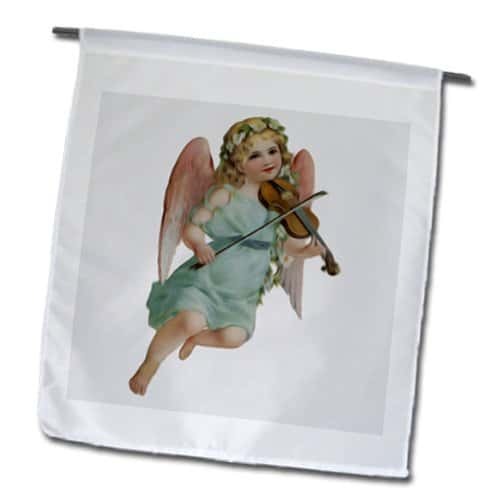 Check out theVintage Victorian Angel Cherub Playing Violin Garden Flag and the Alpine Male Bee Playing Violin Garden Stake . If you enjoyed this article you may also enjoy tthe following articles.